There’s no green space in Toronto quite like High Park. The 400-acre park has everything: cherry blossoms in the spring, fiery colours come fall, shade and swimming pools for the summer and tobogganing and skating ponds in the snowier months. Any condo introduced to the area would need to match the far-reaching appeal of the park. Now that we’ve got our hands on some never before seen renderings and floor plans for The High Park by Northdrive at 1990 Bloor Street West, we’re confident the project has something for everyone. The project is situated right at the High Park subway station on Bloor Street West. The 11-storey tower is facing the park and steps away from and Roncesvalles Village. The spectacular southwest view from the condo. The penthouses will be situated on the 9th, 10th and 11th floors. The overall design of the building will blend in with the neighbourhood. 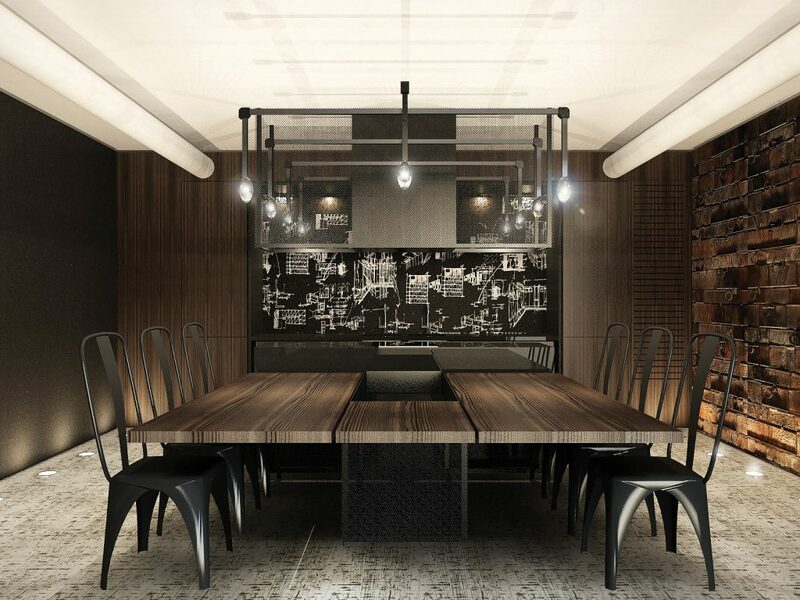 Cecconi Simone are responsible for the inviting interiors. 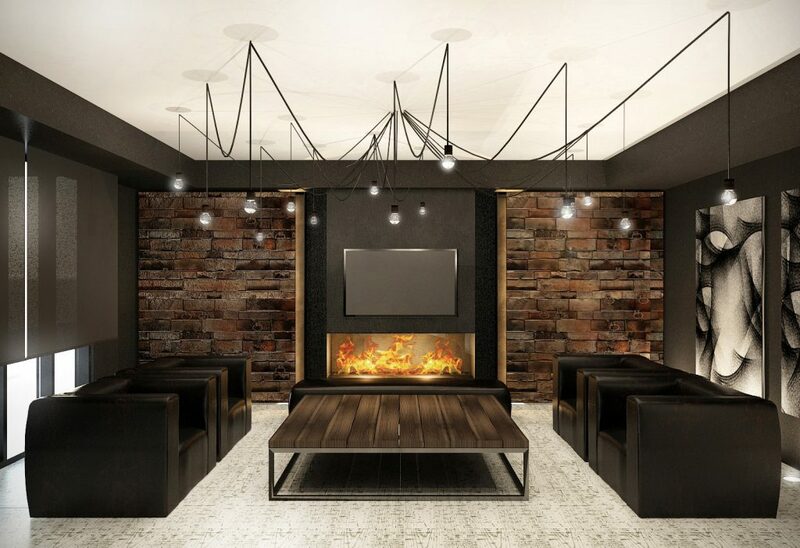 The lounge features brick walls, a cozy fireplace and Ipe wood, a type of Brazlian hardwood. The kitchen and dining room is a great blend of drama and domesticity. 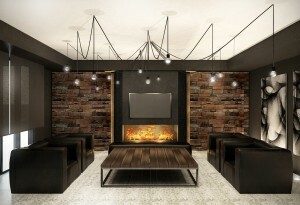 It’s outfitted in dark metals, warm woods and reclaimed brick. Who says you can’t sweat it out in style? 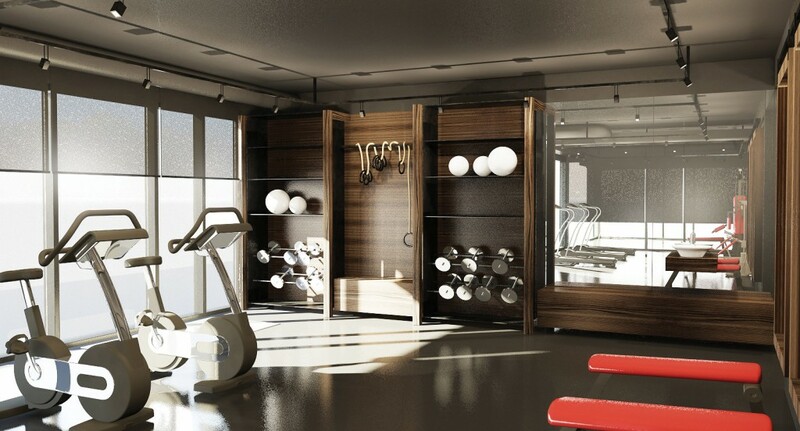 The gym abounds in warm textures, wood and framed glass. 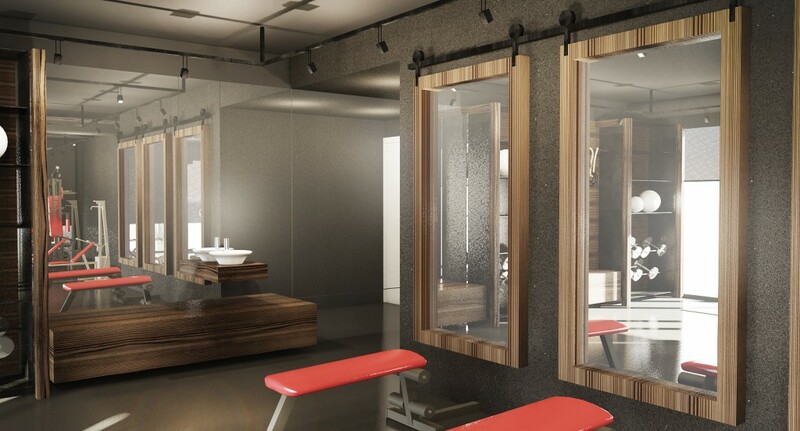 Another look at the gym. Though it has a bit of an industrial edge, the wooden accents keep the space inviting. 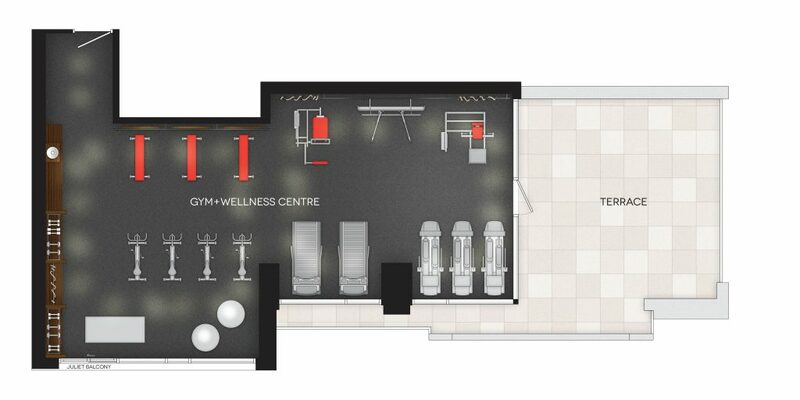 The gym and wellness centre connects directly to an ample-sized terrace. 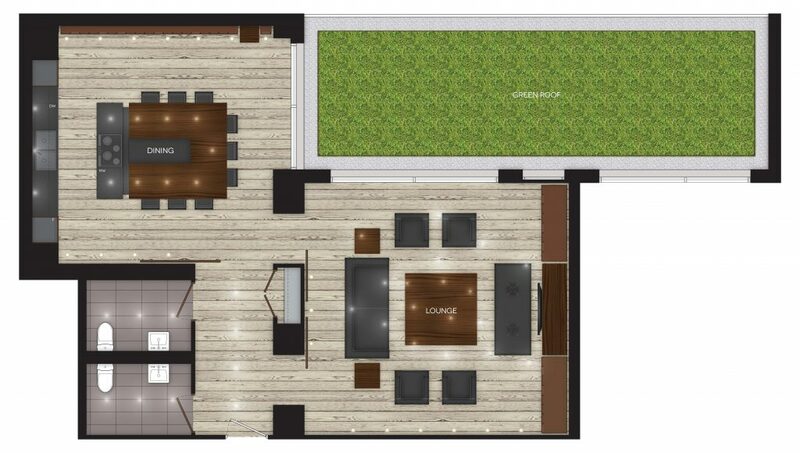 The condo has all your entertaining needs covered with a dining room and lounge that overlook the eco-friendly green roof. For more information contact info@thehighpark.com or 416 670 3699.